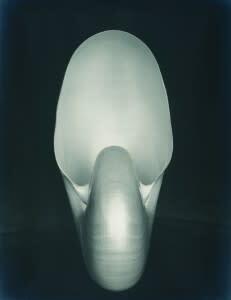 Don't miss Edward Weston at the Monterey Museum of Art! hosts an exhibition of his groundbreaking work. The exhibit includes a hands-on portrait studio, where visitors can take photos that will be part of the Monterey Museum of Art&apos;s digital gallery on social photography website Flickr. Art-fan parents, bring your children; the MMA has created fun activities that will make sure they engage with the art, too! Weston, one of the founding members of Group f/64 alongside Ansel Adams and Imogen Cunningham, lived in Carmel-by-the-Sea for one of the most creative periods of his life. He shot iconic photographs of area landscapes, especially Point Lobos, and pioneered a sharp and clear style remarkable for its high level of detail. Tightly focused, his photos emphasized the sinewy curves and strong lines of every item that passed his lens. Weston&apos;s dramatic photographs ranged from portraits to nudes to landscapes to tightly focused, sensual still lifes frequently featuring fruits and vegetables. The exhibition groups his work in sections dedicated to each facet of his repertoire, showing the way his photographic style evolved over the decades. As part of its effort to engage children with art, the Monterey Museum of Art has created activities that appeal to kids&apos; creative and investigative instincts. The museum&apos;s Scavenger Hunt sends children on a search throughout the exhibit, competing to see which child can find the most items. Kids can tap into their inner artist with "Drop-in Drawing." Stations within the exhibit have clipboards, a pouch of drawing tools and paper so children can draw the shapes and textures they see in the works throughout the show. Ready For Your Closeup? Visit the Make Your Own Portrait Gallery! Tap into your own inner Edward Weston in the Make Your Own Portrait gallery. Your photo may even go on exhibit in the Monterey Museum of Art&apos;s digital space! Inside the gallery, an antique camera aims its lens at a perfectly lit sofa and white backdrop. The stage is set for visitors to take their own iconic portrait. The antique camera housing holds a digital camera. The Monterey Museum of Art will display visitor portraits into its digital gallery on social photography web site Flickr, giving every visitor a chance for a starring role in this collaborative art project. Visitors can also use their own mobile phones and cameras to take that perfect picture and share it on Facebook and other sites. Be the first to see the Edward Weston exhibit! "A Celebration in Black and White" commemorates the grand opening of this amazing photography show. Tonight, Friday, June 17 from 6 to 8pm, wear your best black and white outfit and enjoy live jazz, refreshments and more. Tickets are $25 for the general public, $15 for military and students, and $10 for Monterey Museum of Art members and can be purchased online. Win Two Tickets to the Monterey Museum of Art! 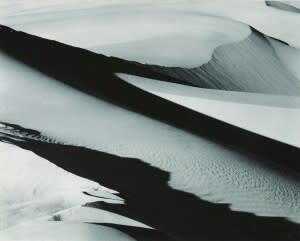 In celebration of the new Edward Weston exhibition, we have two tickets to the Monterey Museum of Art to give away. To enter, comment on this blog and tell us: who is your favorite photographer? We&apos;ll pick the winner on Friday, June 24 at noon.